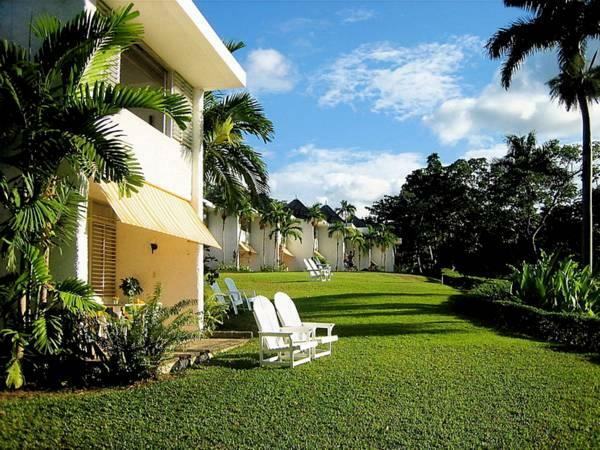 ﻿ Best Price on Goblin Hill Villas at San San in Port Antonio + Reviews! 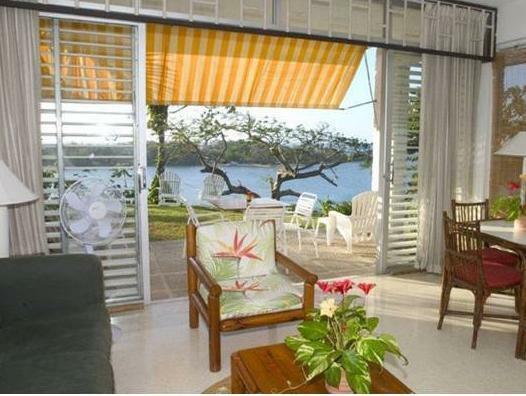 Goblin Hill Villas at San San is located 1.2 mi from Frenchman’s Cove Beach and features an outdoor swimming pool, an extensive garden and tennis courts. Free Wi-Fi is available throughout. 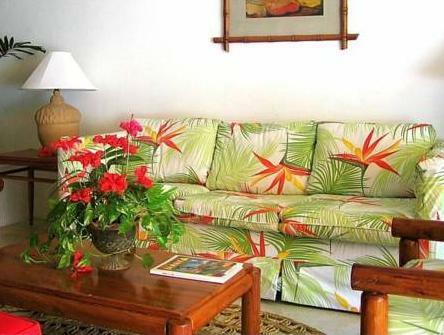 The air-conditioned villas feature tropical décor and garden or sea views. Each villa offers a seating area, a bathroom with a bath or shower and a kitchen with a stove, microwave, fridge and dining area. Internet TV is available on request with access to an in-home multimedia library with movies, documentaries, music and cartoons. Each villa comes with a personal helper who can prepare meals free of charge and arrange grocery shopping on request. You can also find restaurants and bars within 10 minutes’ drive. This property has an on-site library, and staff at reception can help you arrange tours and excursions to the main beaches in the surrounding area. Each villa comes with a personal helper who can prepare meals free of charge and arrange grocery shopping on request, please contact the property before arriving. Goblin Hill Villas at San San is 20 minutes’ flight from Kingston and 40 minutes’ flight from Montego Bay. Norman Manley International Airport is 2 hours and 30 minutes’ drive away. Guests must pay before arrival, either with credit card or via bank transfer. The property will send you a form which needs to be filled in and returned before your arrival. Please note that Goblin Hill accepts payment by Visa, MasterCard or wire transfer; cash is not accepted. • Deposits must be made within two days of a reservation • Reservations made more than 30 days before arrival require a 50% deposit to hold the villa. This will hold the villa until 30 days prior to arrival, when the balance is due to confirm the booking. • Bookings made within 30 days of arrival must be paid in full to confirm the reservation. • Cancelations must be emailed. • Cancelations 30 days or more prior to arrival are fully refundable, less an administrative charge of US$35 per villa. • Cancelations 7-30 days prior to arrival are 50% refundable, less the administrative charge of US$35 per villa. You may alternatively apply your payment to another stay at no penalty, one time, on a space-available basis outside of blackout periods. • Cancelations 7 days or less to arrival are nonrefundable, as are no-shows on day of arrival, late check-ins, and early checkouts. 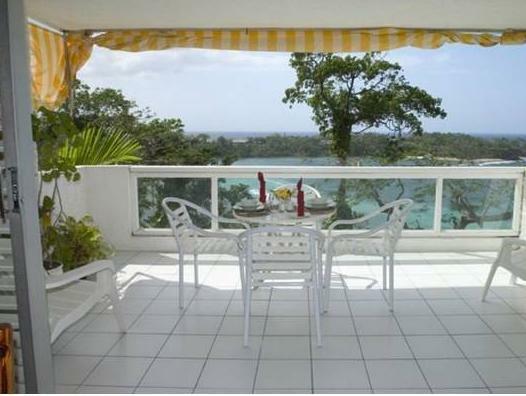 Holidays: • Jamaican public holiday weekends require a 2-night minimum stay. • Holiday Season (December 20-January 5): 3-night minimum stay. Balance due 45 days before arrival. • Cancelations less than 21 days prior to the Holiday Season (Dec. 20-Jan.5) are nonrefundable, as are no-shows on day of arrival, late check-ins, and early checkouts. Guests are required to show a photo ID and credit card upon check-in. Please note that all Special Requests are subject to availability and additional charges may apply.